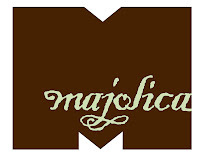 March 13, 2009– Not only were the rumors of Majolica’s death greatly exaggerated, but online and on the street hearsay had the well-respected restaurant devastated by the economy inside of a week. If they weren’t predicting the next Phoenixville restaurant’s demise the local punditry was publicly bemoaning the loss of the revitalized steel-town’s most sophisticated eatery. Owned by the husband and wife team of Chef Andrew Deery and manager Sarah Johnson, Majolica had been in the news recently for receiving “three bells” from Philadelphia Inquirer restaurant critic Craig LaBan and had added a farmhouse table to their eclectic offering. Rather than succumb to these dreary facts, Deery and Johnson decided instead to reinvent Majolica. Besides noticeably enthusiastic upgrades to the restaurant’s frontage and interior, including the addition of a private Farmhouse Room, Majolica is unveiling a new menu featuring new choices and lower price points. The new Majolica will still showcase fresh and local ingredients, seasonal modifications and Andrew Deery’s signature style, but significant changes have been incorporated to make the bistro more accessible to more people, more often. The addition of affordable a la carté appetizers starting at $3 and entrées starting at $16 opens the Majolica menu up to families and people who frequently dine out. Additionally, Majolica’s menu will now include pri fixe selections with an appetizer, entrée and desert offering for just $25. The popular restaurant is also changing their hours of operation, offering dinner service of the compelling new menu Wednesday through Sunday from 5:00pm to 11:00pm. chef’s legendary tasting menu, those options still exist. Majolica will be reopening on Wednesday, March 18th. They can be found on the web at majolicarestaurant.com. For reservations, please call 610-917-0962. I couldn't agree more. People need to realize that businesses survive as a result of town support. In return, a bustling downtown will return dividends that are beneficial to the residents in the form of convenience, entertainment, psychological, and financial. And I know the "financial" part will produce some opposition, but I challenge anyone to find poor housing values that are part of a successful downtown. One compliments the other. I'm going down today for the Beer Fest, so I'm supporting. I wonder why they let go of the chef they hired a few weeks before they 'closed'. Doesn't sound like the nice thing to do to someone. Maybe he wasn't a good cook. I am SOOOOOOO excited. I'm moving out to Kimberton in June and was so sad to hear about Majolica...now I'm happy, happy, happy. Why is it any of our business why a cook was let go from Majolica or any restaurant? Business owners let staff go for any number of reasons. Let's focus on the positive. The Majolica owners heard what their customers were saying and are trying to accommodate them and still make a living. Hurray for them! I agree, I'm just glad they're not leaving and we can enjoy their restaurant. I also notice that all the people saying the town was shutting down or "in big trouble" have not been around lately. I think spring is in the air and people are coming out again, and all of the grumpy, doom & gloomers have gone into hibernation again until next winter. Every winter the doom and gloomers talk about how the town has slowed down, and this is the year the town is gonna go down. But every year the town continues to grow and move forward and the progression of our town is staggering.